Thieme congratulates Todd Albert on being chosen by New York magazine for its prestigious ‘Best Doctors 2017’ list. Written by world-renowned spine surgery experts, this definitive text elucidates the importance of obtaining a thorough medical history and performing a physical exam for a full spectrum of spine conditions. There have been significant advancements in minimally invasive spinal surgery techniques since publication of the last edition. However, spine evaluations will always be imperative to clinical practice. These exams reveal a myriad of clues that help spine specialists make a differential diagnosis for a wide array of pathologies. 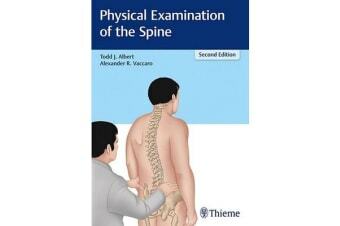 This book is a clear, concise “how to” guide on conducting physical examinations of the spine. The text begins with a methodical review of fundamentals including basic anatomy and neurology; sensation, muscle, and reflex tests; and classification systems. 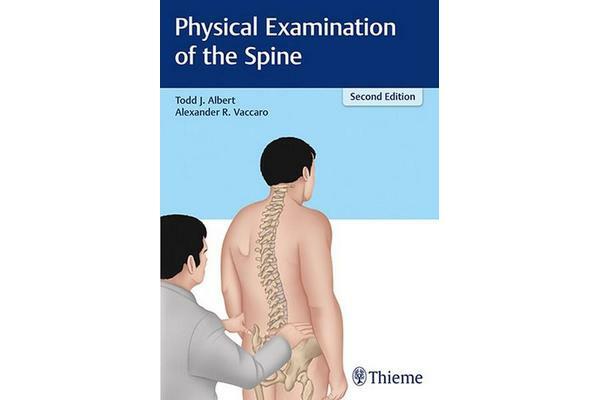 Subsequent chapters succinctly delineate why the spinal exam is an integral component of neurosurgical, neurological, orthopaedic, and chiropractic exams. Up-to-date and comprehensive, this book is essential reading for trainee and practicing orthopaedic surgeons and neurosurgeons who perform spine tests in daily practice. It is also a terrific resource for neurologists, physical therapists, and allied health professionals who frequently treat patients for back and neck pain.